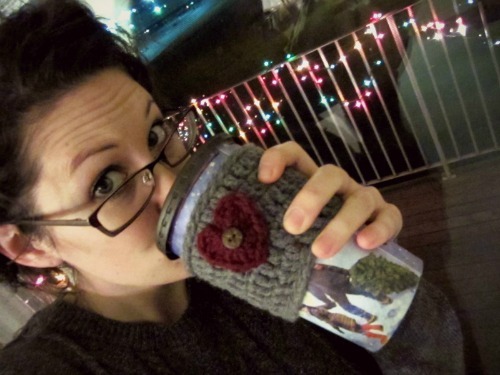 I recently discovered the fun of making crochet coffee cozies.. and now I can't stop! 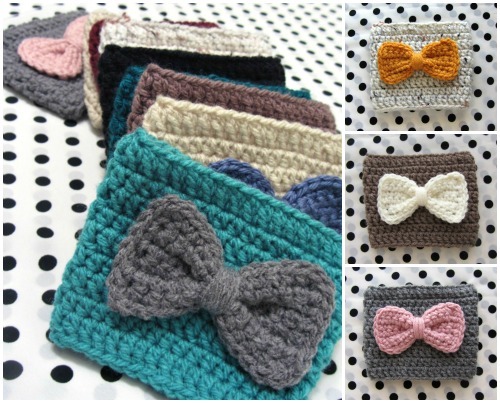 I'm absolutely IN-LOVE with these bow cozies! They are so fun to make! I pretty much made up my own pattern that works for me. At first, crocheting in the round (or circle) was a bit confusing.. 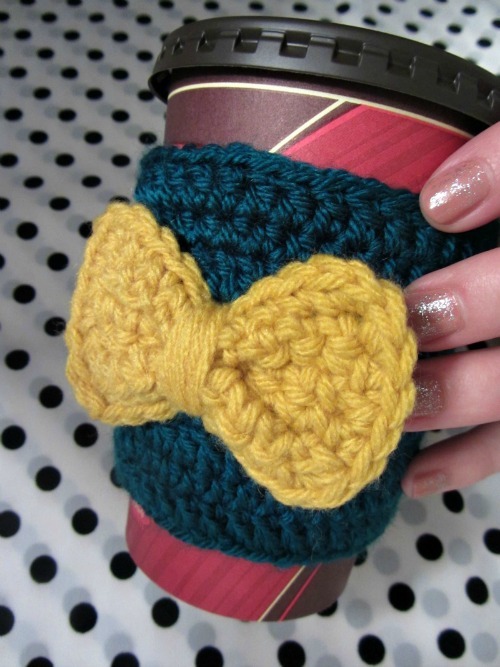 I'd tried it before when I first started crocheting but gave up. Now I think I've got it down. 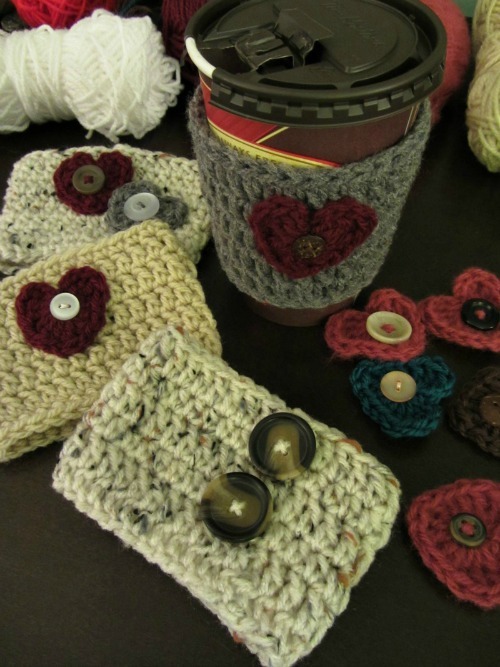 I made some other styled cozies as well..
Embellishing them is the best part! No burned fingers for me! I've added a few to my Etsy shop, and I've posted more of them on my facebook page as well! 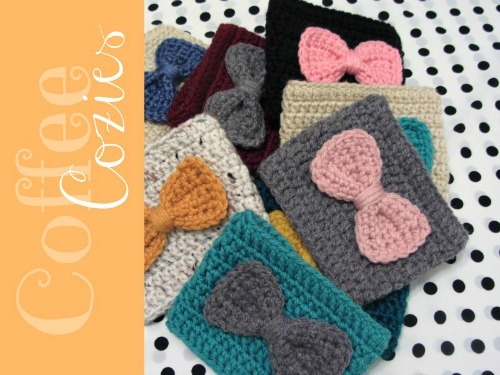 They'd make perfect little Christmas gifts or stocking stuffers, maybe along with a gift card to a coffee shop!